In 1984 with the completion of the new First Presbyterian Church on Smythe Street, a committee was formed to organize a kindergarten as a part of the outreach of this church. Much thought, prayer and research went into its organization. The kindergarten began with a 5 year old kindergarten and a 3 and 4 year old prekindergarten with approximately 30 children. Today with the kindergarten being part of the Day School, this school offers 4 and 3 year old preschool, 2 and 1 year old Mother’s Morning Out and after school care with approximately 100 children. This Kindergarten program of First Presbyterian Church has been providing excellence in academics and moral training to students for over 25 years. As a result of several studies, much dialogue, and even more prayer, on April 19, 1998, our congregation voted to move forward with an expansion of our Christ-centered, Bible teaching school. Grades one through six began with thirty-two students in our existing Sunday School building in the Fall of 1998. Primarily through word-of-mouth, the school grew quickly. As the school continued to expand in size and scope, we added a new multipurpose building which houses additional classrooms, office space, and a gymnasium. At all levels of the school, the math, reading, science, English, and other disciplines in the program are continuously reviewed and upgraded to qualitatively increase the learning of the students. PDS is governed by a Board of Directors who submit to the authority of the Session of First Presbyterian Church of Kosciusko. Many of our board members, both present and past, have been actively involved since the “idea” stage; one had been praying for the establishment of a Christian school for our community since she read about such a school in an issue of Table Talk magazine — eight years prior to the beginning of PBS! The PDS Board of Directors, FPC Session, and the administration are planning and praying toward further growth of the school as more families become convinced of the necessity and advantages of a Christ-centered education. 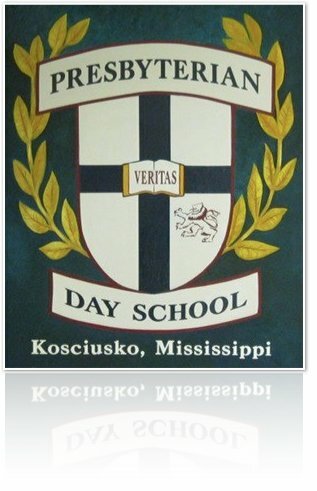 For more information about Presbyterian Day School, visit www.pdskosy.org.